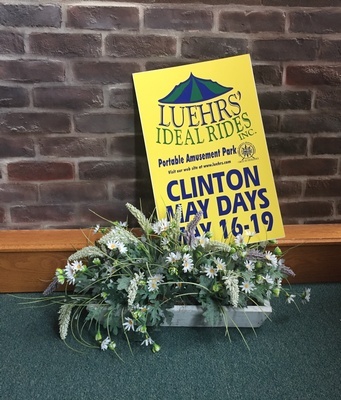 Clinton's 27th annual MayDays Festival takes place over four days, beginning on Thursday, May 16, 2019 through Sunday, May 19, 2019, in the downtown Clinton area. Pre-Sale Carnival Ride Tickets will go on sale on April 19th through May 16th @ 3:00pm at the discounted price of $20 for a sheet of 22 tickets. Second Chance for Pets volunteers will man the ticket booths during the festival. This is a fundraising event for their cause. 8:00am to 5:00pm: Poppy Day by American Legion Auxiliary Unit #103 Poppies are offered in Clinton and Wapella. All donations go to Veterans and their families. May 16, 17, 18, 19, 2019 in the downtown Clinton area.